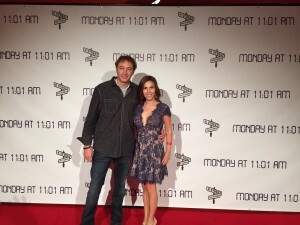 Director, Harvey Lowry, COO of Red Thread Pictures and his wife, Raquel Lowry. Red Thread Pictures COO, Harvey Lowry, sometimes goes outside the walls of our productions to contribute his talents with other collaborators. 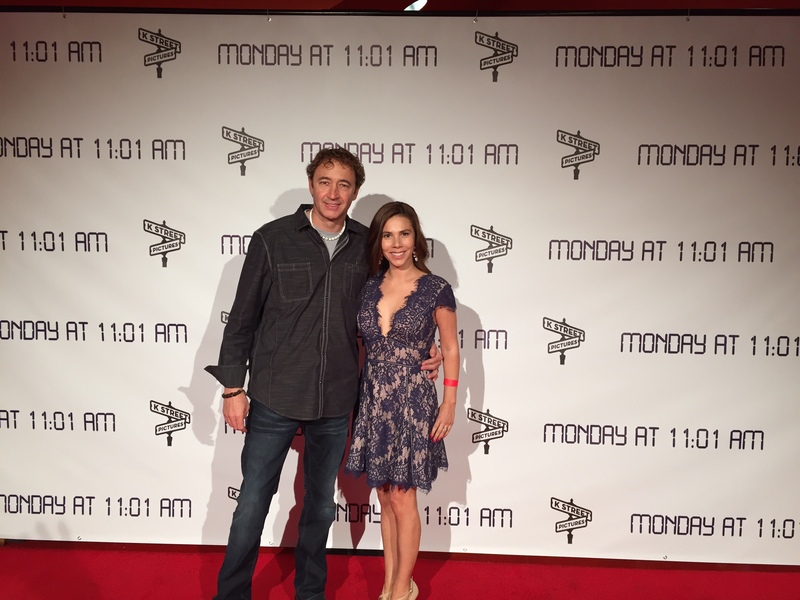 His latest feature film is a Charles Agron Productions and K Street Pictures production called “Monday at 11:01AM” starring Charles Agron and Lauren Shaw. Monday At 11:01 A.M.” is a suspense thriller starring Agron as Michael and Shaw as Jenny, a young couple who find themselves in a beautiful yet eerie mountain town where everyone seems strangely familiar. While Jenny busies herself in the small antique shops – Michael wanders into the local watering hole. The bartender (Lance Henriksen) dares Michael to check out Olivia (Briana Evigan),a sultry brunette in the corner. After a drink, Michael takes him up on the offer and moves to sit next to her. The two begin an ominous flirtation with Olivia slipping him her phone number. Michael and Jenny decide to stay overnight at the dimly lit and aging hotel. During the night Michael is jolted out of bed when he hears frantic screams from another room. When he calls the front desk for help, he is met with cold indifference. No one believes him including Jenny. As his hallucinations become more real through a series of horrific events, Michael finds himself desperately trying to walk the line between reality and the terror that awaits him. Well now the reviews for Lowry’s latest film are out and we wanted to share some of the best thought from Hollywood Reporter on Lowry’s directing.